Focal ón bPríomhoide, Aisling Uí Fhéich. 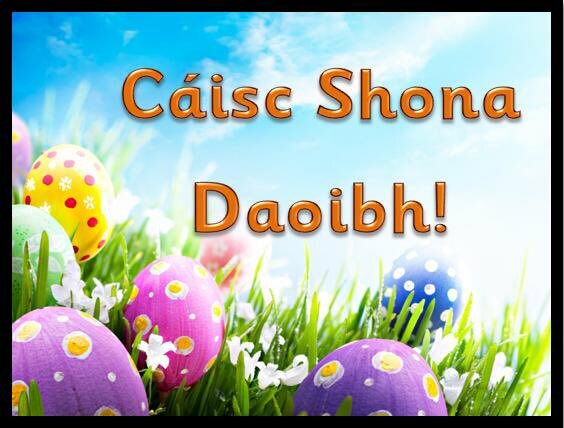 Ba mhaith liom fáilte a chur romhaibh go suíomh gréasáin Gaelscoil na Fuinseoige. Tá súil agam go mbaineann sibh taitneamh as an suíomh agus go bhfoghlaimeoidh sibh faoin scoil agus faoi na himeachtaí atá ar siúl againn inti. Is Gaelscoil il-chreidmheach í Gaelscoil na Fuinseoige a bunaíodh i 2016 do bhuachaillí agus cailíní. Thosaigh an scoil i suíomh sealadach le cúigear páiste inti. Táimid anois lonnaithe inár bhfoirgneamh álainn buan agus ag dul ó neart go neart. Tá 89 páiste sa scoil anois (suas go Rang a 1) agus tá éileamh mór ar áiteanna sna blianta amach romhainn. Tá atmaisféar dearfach agus cairdiúil ann sa scoil agus is é an cuspóir atá againn ná oideachas den chaighdeán is airde a chur ar fáil trí mheán na Gaeilge dár bpáistí. Tá an Ghaeilge agus cultúr na Gaeilge mar bhun chloch na scoile agus cuirtear an-bhéim ar spórt agus na healaíona ach go háirithe sa scoil. Cuirimid an-bhéim ar Eolaíocht agus ICT sa scoil freisin. Tá fearas eolaíochta leathan againn a thugann deis do na páistí obair ghníomhach a dhéanamh go rialta. Tá scáileáin idirghníomhacha i ngach seomra agus tá táibléid againn freisin a úsáidtear go laethúil sna seomraí ranga. 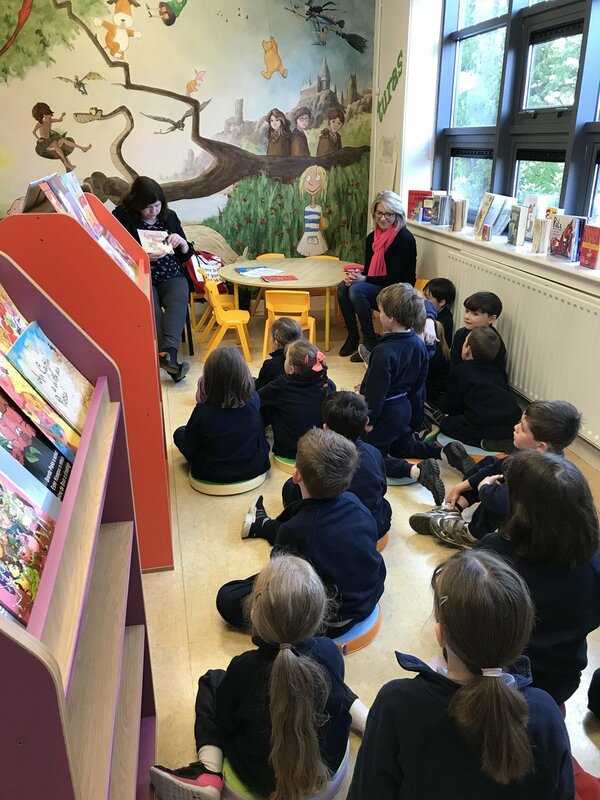 Tá an t-ádh linn sa scoil go bhfuil foireann dhícheallach, bhríomhar againn a bhíonn ag obair ar leas na bpáistí i gcónaí agus atá sásta tabhairt faoi thionscnaimh breise a chuireann leis an scoil. Má tá a thuilleadh eolais uait nó má theastaíonn uait labhairt linn, ná bíodh leisce ort dul i dteagmháil linn ag oifig@gsnafuinseoige.ie nó ar 01-2989851. Welcome to the website of Gaelscoil na Fuinseoige. I hope you enjoy learning about the school and our activities here. Gaelscoil na Fuinseoige is a multi-denominational Gaelscoil for boys and girls that was founded in 2016. The school commenced it’s days in temporary accommodation with 5 children but we are now in our lovely, permanent home and the school is growing rapidly. We currently have 89 children in the school (up to 1st class) and there is a strong demand for places for the coming years. There is a positive, friendly atmosphere in the school and it is our aim to provide the highest standard of education for our children through the medium of Irish. The Irish language and culture is the cornerstone of the school and we place a big emphasis on the teaching of sport and the arts in Gaelscoil na Fuinseoige. We also place a strong emphasis on science and ICT. We have a large range of science equipment that the children regularly engage with. Every classroom is equipped with a touchscreen interactive board and the school has tablets that are used daily in the classrooms. 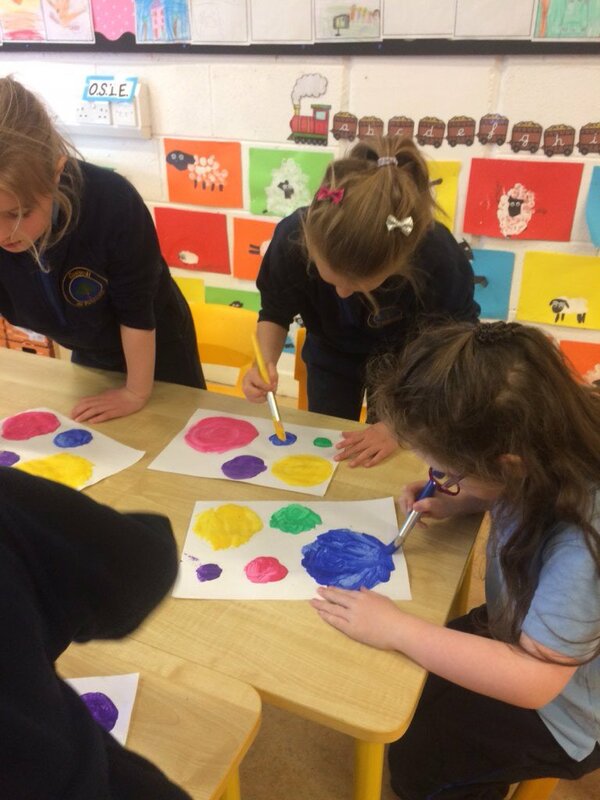 We are extremely fortunate to have a vibrant, hardworking staff in Gaelscoil na Fuinseoige who always do their best for the school and the children in it. We regularly engage in extra projects and activities which enhance the childrens’ experience and learning in the school. If you would like any further information please do not hesitate to contact us at oifig@gsnafuinseoige.ie or on 01-2989851. Mí na hEalaíne sa scoil. 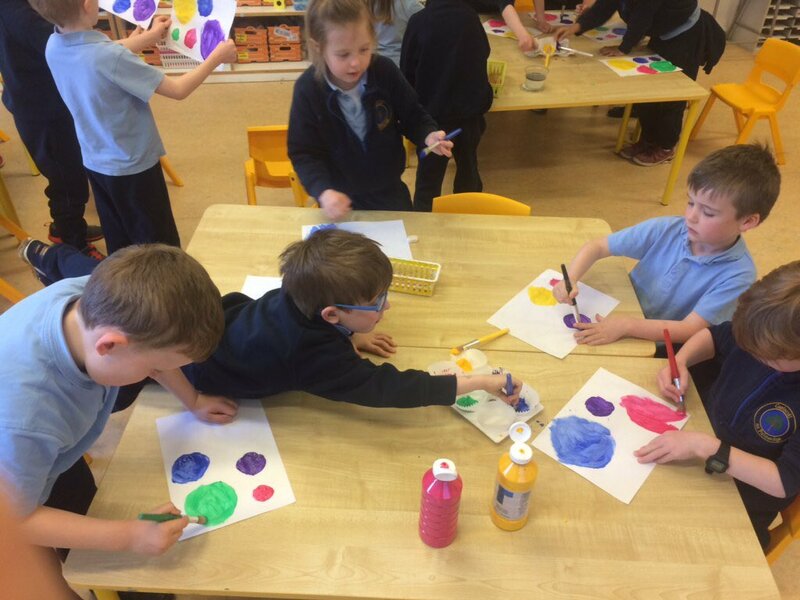 Táimid ag breathnú ar shaothair Kandinsky. Ar mhaith leat do pháiste a chlárú linn?